CASSE SEEKS FIRST STAKES VICTORY WITH TALES OF CHAUCER IN BASHFORD MANOR – Trainer Norm Casse began training on his own in late March but is already attempting to win his first stakes race with 2-year-old maiden winner Tales of Chaucer, who is the 4-1 second choice on the morning line in Saturday’s $100,000 Bashford Manor (Grade III) at Churchill Downs. 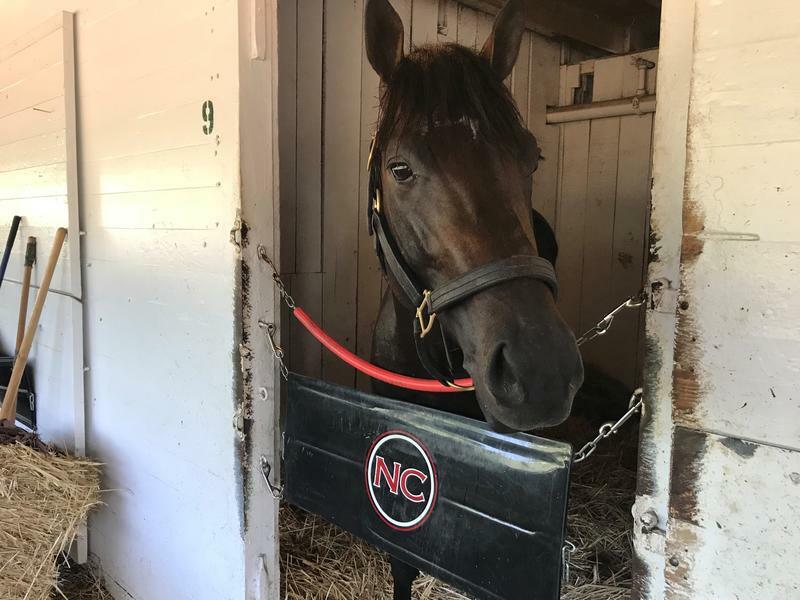 The New York-bred son of Forty Tales, who was purchased for $58,000 at the OBS March Sale, will attempt to give 34-year-old Casse his first stakes win as a first-year trainer. 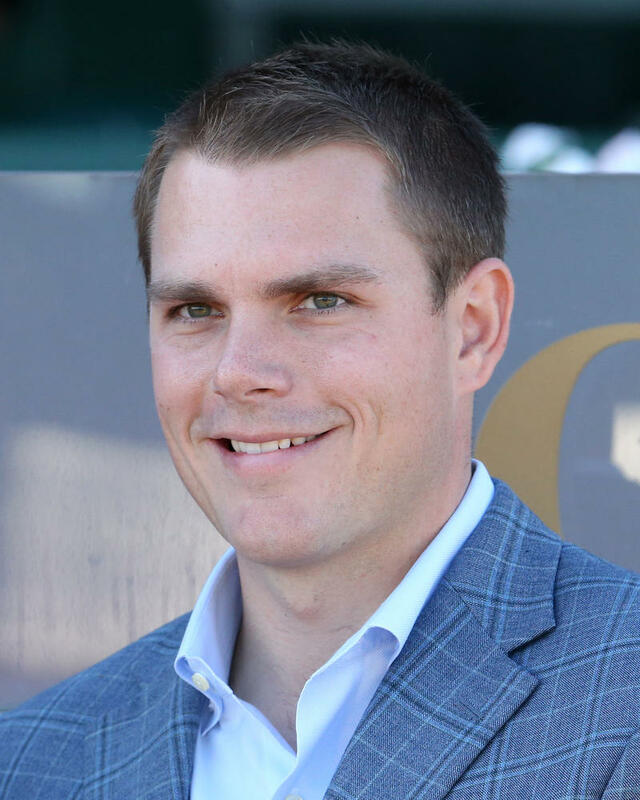 The colt’s ownership group includes Michael and Jules Iavarone, Becky Thomas’ Sequel Racing, Samuel R. Freeman, Dorsey Jackson and Casse’s Cardinal Hill Racing. The complete Bashford Manor field from the rail out (with jockeys, trainers and assigned weight): Shanghaied Roo (Gabriel Saez, Bret Calhoun, 120 pounds, 9-2 morning line odds); Weiland (Carlos Villasana, John Ennis, 122, 6-1); Baytown Glory (Jack Gilligan, Paul McEntee, 120, 30-1); Sir Truebadour (Ricardo Santana Jr., Steve Asmussen, 120, 4-1); Mr Chocolate Chip (Euclyn Prentice Jr., Cory Davidson, 120, 30-1); The Song of John (Sonny Leon, Rey Hernandez, 120, 20-1); Eye Cloud (Rogelio Miranda, Tracy Norris, 120, 20-1); Mr. Granite (Nathan Vickers, Wayne Rice, 120, 30-1); Tales of Chaucer (Julien Leparoux, Norm Casse, 120, 4-1); Dalliance (Arienne Cox, Wayne Rice, 122, 20-1); Toothless Wonder (Mario Gutierrez, Doug O’Neill, 120, 7-2); Cat Addiction (C.J. McMahon, Steve Asmussen, 118, 15-1); and Overanalyzer (Andres Ulloa, Michelle Elliott, 120, 20-1). RIVELLI HOPES TO PLAY CATCH ME IF YOU CAN WITH O’KEEFFE IN DEBUTANTE – Carolyn Wilson’s speedy maiden winner O’Keeffe hopes the 334-mile journey from her home base in Chicago proves successful as the 3-1 co-second choice on the morning line in Saturday’s $100,000 Debutante (Listed) at Churchill Downs. O’Keeffe, a daughter of Munnings, broke her maiden on May 27 at Arlington Park at odds of 2-5. The runner-up to O’Keeffe, Agi’s Cait, recently returned to break her maiden by 6 ½ lengths. O’Keeffe drew post 4 and will be ridden by veteran jockey Jose Valdivia Jr. The six-furlong Debutante will go as Race 7 at 3:50 p.m. (all times Eastern). 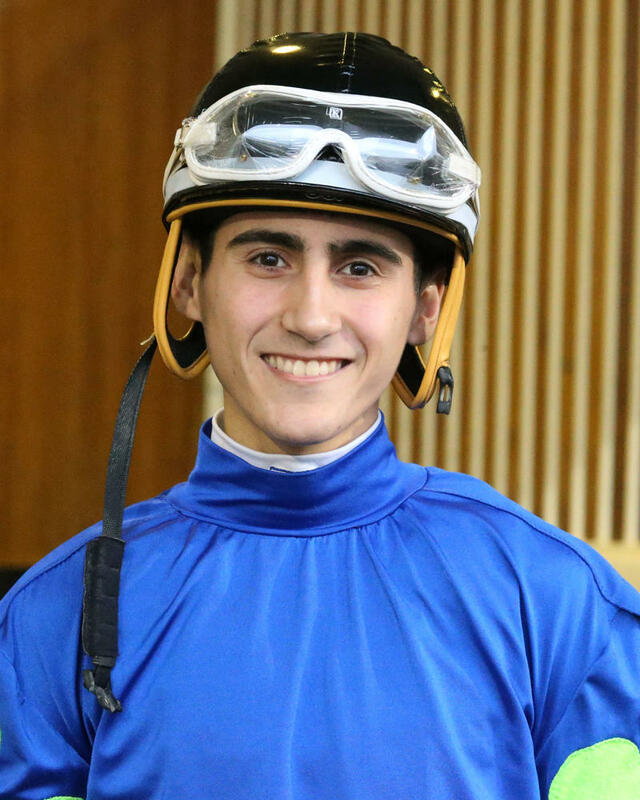 MORALES ENJOYING SUCCESSFUL FIRST SPRING MEET AT CHURCHILL DOWNS – Five-pound apprentice jockey Edgar Morales moved to Kentucky from his native Puerto Rico in 2017 and is already enjoying a successful start in the U.S. with 15 wins at the 2018 Churchill Downs Spring Meet. Morales, 19, grew up in Aibonito, Puerto Rico, which is known as the “city of the flowers” in the mountainous region in the south-central part of the main island. Morales, currently tied for seventh in the jockey standings, made his first start in the U.S. on Oct. 6, 2017 at Keeneland and recorded his first win two weeks later on Star Dog for late Hall of Fame trainer Jack Van Berg. 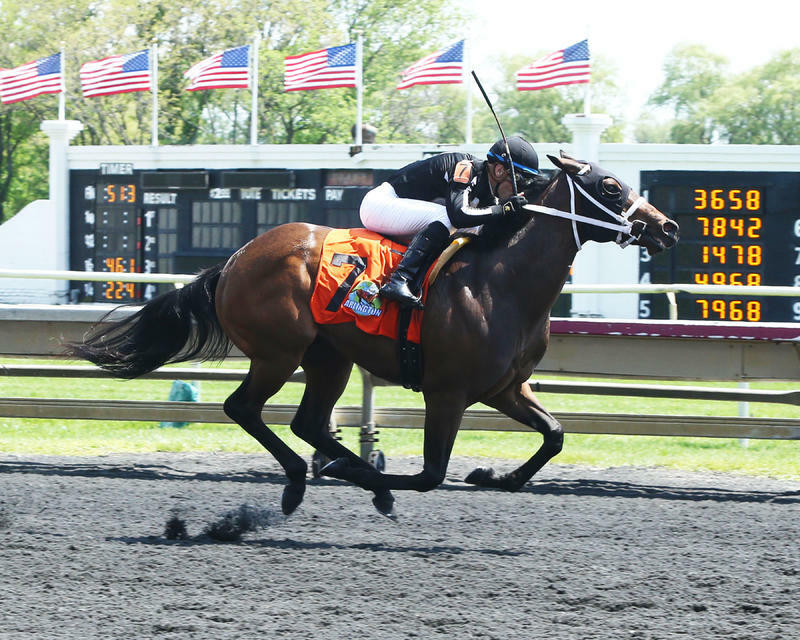 Represented by five-time Churchill Downs leading rider Julio Espinoza, Morales plans to ride the summer at Ellis Park before returning to Churchill for the September Meet. MEET LEADERS – With three days of racing remaining at the Spring Meet, jockey Brian Hernandez Jr. is on his way to his first-career riding title at Churchill Downs with a 40-35 win lead over 15-time leading rider Corey Lanerie, who will not ride the final days of the meet to spend time with family in Louisiana following his wife Shantel’s death on Friday. Florent Geroux was third with 32 wins while Julien Leparoux and Ricardo Santana Jr. were tied for fourth with 24 victories. … Hall of Fame trainer Steve Asmussen had a 24-19 win lead over Brad Cox in the trainer standings as he seeks his record-extending 19th Churchill Downs training title. Ian Wilkes was third with 17 wins while Eddie Kenneally and Kenny McPeek rounded out the Top 5 with 16 and 15 wins, respectively. 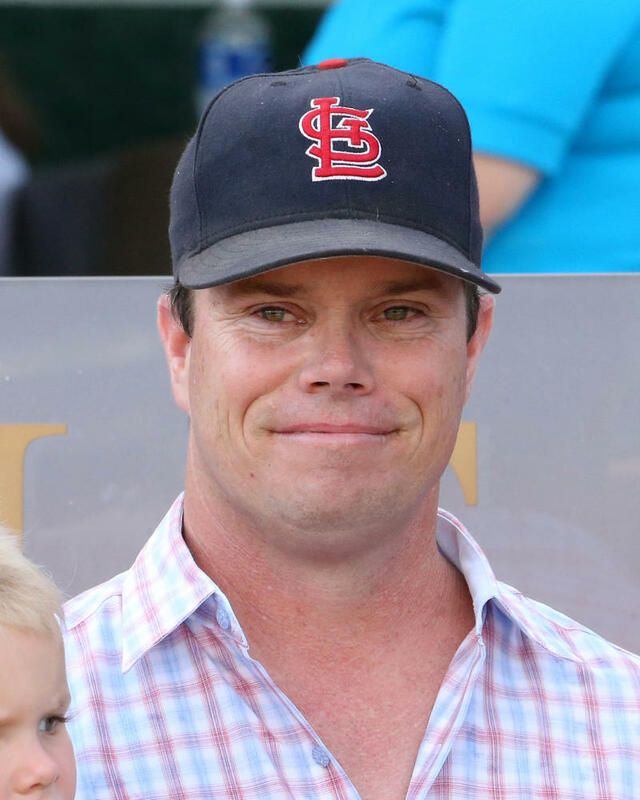 … For the record-extending 31st time, Ken and Sarah Ramsey have won at least a share of the leading owner title at Churchill Downs with eight victories. Jim and Susan Hill, Gary and Mary West and Whitham Thoroughbreds were tied for second with four wins. 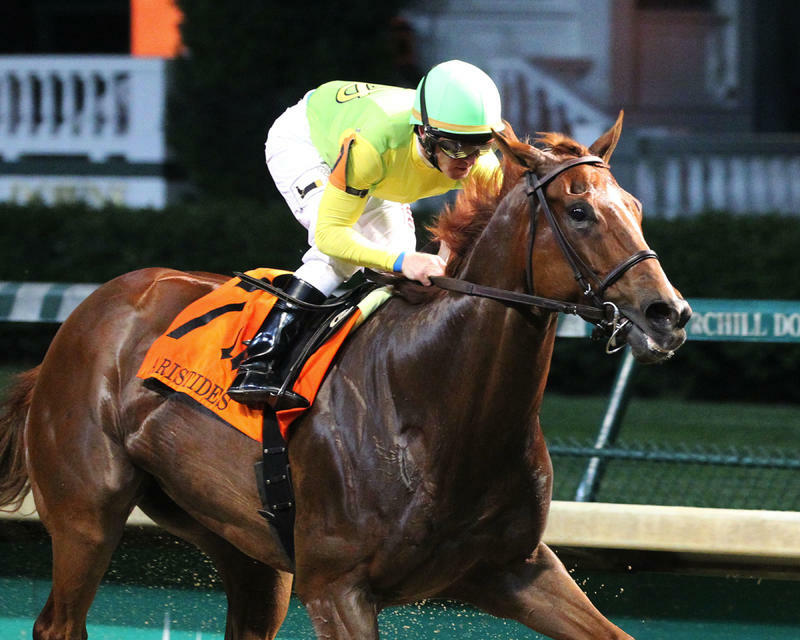 Calumet Farm entered the week with two wins but could clinch a share of the owner’s title with six entries in the final three days of racing. DOWN THE STRETCH – The 2018 Spring Meet concludes with live racing Thursday-Saturday. Thursday’s eight race program, billed as Twilight Thursday, includes $1 beer, live music from House Ghost, local food trucks and lawn games in The Plaza. First post is 5 p.m. There is a $55,538 carryover in the 20-cent Single 6 Jackpot which begins in Race 3 at approximately 5:58 p.m. In Race 4, there is a $30,454 carryover in the late 50-cent Pick 5. The sequence, which spans races 4-8, begins at approximately 6:27 p.m. Also, there is a carryover of $5,503 in the $1 Super Hi 5 for the 8:23 p.m. finale. … Friday’s 11-race card will have a first post of 12:45 p.m. and Saturday’s closing-day 12-race program will also get underway at 12:45 p.m. … Should Churchill Downs’ parking lots fill up Saturday, the track will provide free parking and shuttle service from Lot H at the Kentucky Exposition Center (inside Gate 4). Guests also may park in the gray, maroon, lime and Wagner’s Pharmacy lots starting at noon but they will have to park and walk. Parking in the neighborhood also is an option. … Attendees on Saturday are advised to take Taylor Blvd. for a swift exit. There’s a 7 p.m. Taylor Swift concert at nearby Papa John’s Cardinal Stadium and heavy traffic on Central Ave. is expected after the 6:25 p.m. final race. … The hosts of “Inside Churchill Downs” – Churchill Downs Racetrack’s John Asher, Darren Rogers and Kevin Kerstein – will revisit some of the memorable moments of the 2018 Spring Meet and preview Saturday’s three stakes races on their 6-7 p.m. show that airs every Friday on ESPN 680/105.7. Those outside the Louisville area can listen live online at http://www.espnlouisville.com/ or download a podcast of the show after its completion. … Congratulations to trainer Michelle Lovell for being named Barn of the Week. Lovell and her staff will be honored with a winner’s circle recognition Friday and a pizza party. … There have been a total of 200 horses claimed totaling $4,199,000 compared to 199 totaling $3,709,500 at this stage in 2017. … Trainer Mike Lauer began Thursday with 999 career wins and had one entry today at Finger Lakes. 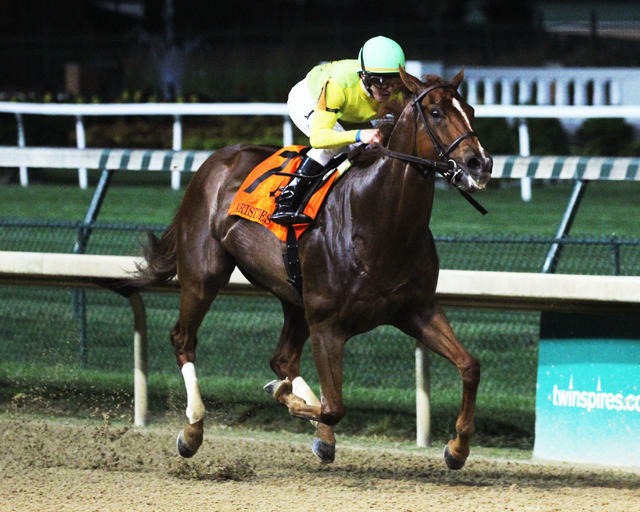 He has no horses entered at Churchill Downs over the final three days.